THE BRIEF: Create a social first campaign to get people excited about the $5 Boneless Wing Bash Limited Time Offer. THE IDEA: The $5 Boneless Wing Bash is a crowd favorite. Let's celebrate it by creating a "Boneless Season". Flappy Bois. Wavy Arm Guys. Inflatable Dancy Things. People call them different names, but everyone loves 'em. We're calling them Boneless Dancers and using their help to welcome Boneless Season. Through a half day shoot, we captured a ton of channel specific content. 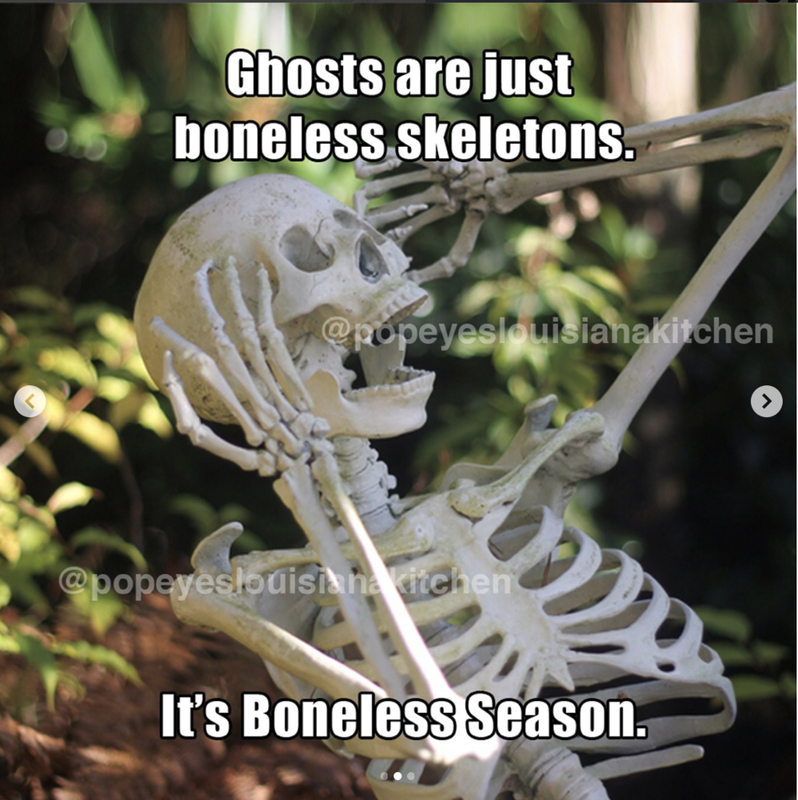 We also hopped on an existing meme trend and created a series of Boneless Memes that we shared on organic and paid social.